Galvanized by the courthouse’s inclusion on Indiana Landmarks’ 10 Most list, Washington County officials have committed more than $1 million to repair and restore the spectacular Romanesque Revival landmark. Washington County’s 1888 courthouse dominates Salem’s National Register-listed square, its soaring limestone clock tower visible for miles in every direction. The tower has been the source of urgent worry for county officials and preservation advocates for decades. Lightning struck the tower in 1934, sparking a fire. Ill-conceived repairs at the time trapped water in the stone and caused deterioration over the intervening decades, making the tower unstable. 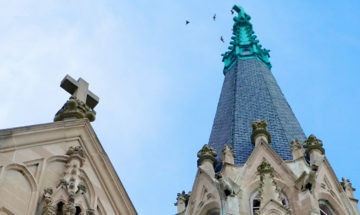 Chronic roof and masonry leaks add to the problem, an ongoing concern that landed the courthouse on Indiana Landmarks 10 Most Endangered list for the past two years. Galvanized by the 10 Most status, county officials hired Arsee Engineers of Fishers and RATIO Architects of Indianapolis to assess the courthouse and develop a prioritized list of repairs. With tower and roof work at the top of the list, Washington County Commissioners recently selected General Restoration Corporation of Columbus, OH, to complete clock tower stabilization, stone masonry work, and roof repairs. 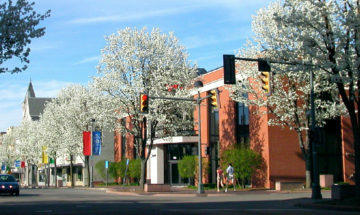 Work is scheduled to begin later this spring; Arsee Engineers will provide oversight on the $1,038,000 project. Exterior restoration is the first of many improvements planned for the Romanesque Revival landmark. RATIO recently completed an interior study to recommend more efficient use of the space. Court functions recently moved to a new facility, and the county is evaluating potential new uses for the building’s historic courtroom. RATIO also studied the building’s historic windows to make recommendations on improved energy efficiency. “To make this building functional for the twenty-first century, the county needs a comprehensive plan. 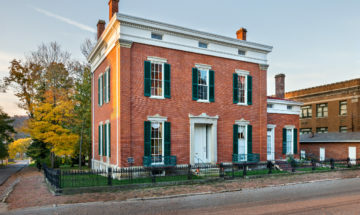 In the wake of 10 Most designation, I believe the county is committed to that process,” says Greg Sekula, director of Indiana Landmarks’ Southern Regional Office. 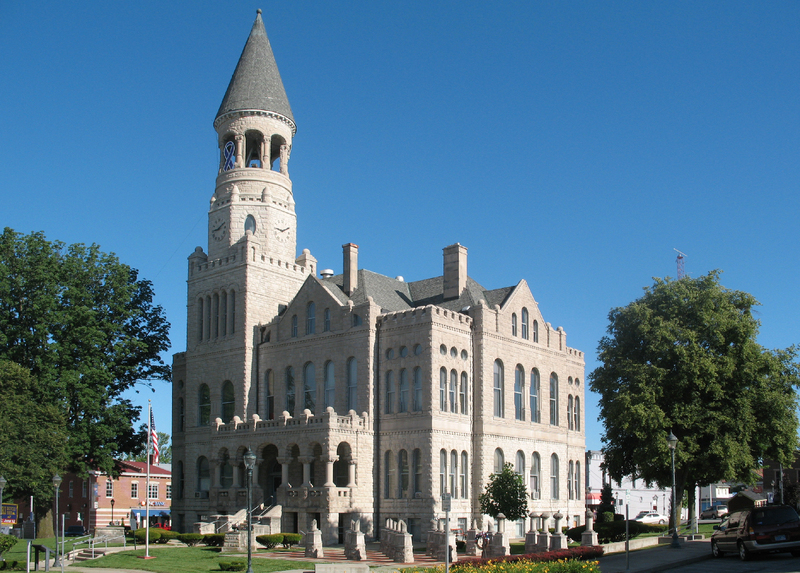 “Funding for continued work on the courthouse will remain a challenge for this rural county. The community’s help, along with outside grants, will be necessary along the way to help finance the improvements,” he adds. 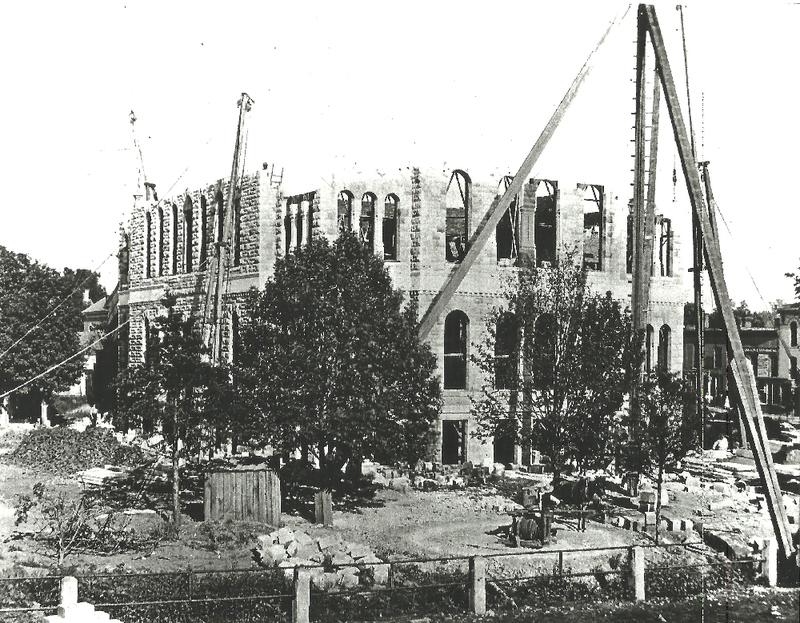 The Washington County Historical Society has established an account to assist with the Courthouse Restoration Project. To find out how you can help, contact the John Hay Center at 812-883-6495.